Most people after the Civil War did not own land. Black people, freed with nothing but their own labor, had no resources to buy land. Many poor white people had never owned land. 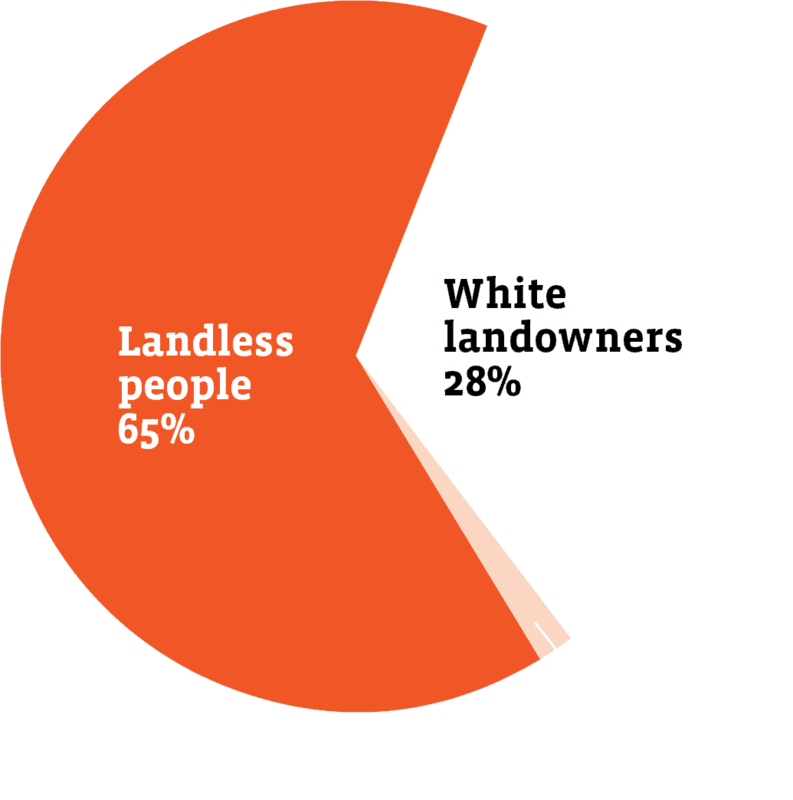 Others  lost their land, unable to compete with wealthier  landowners. 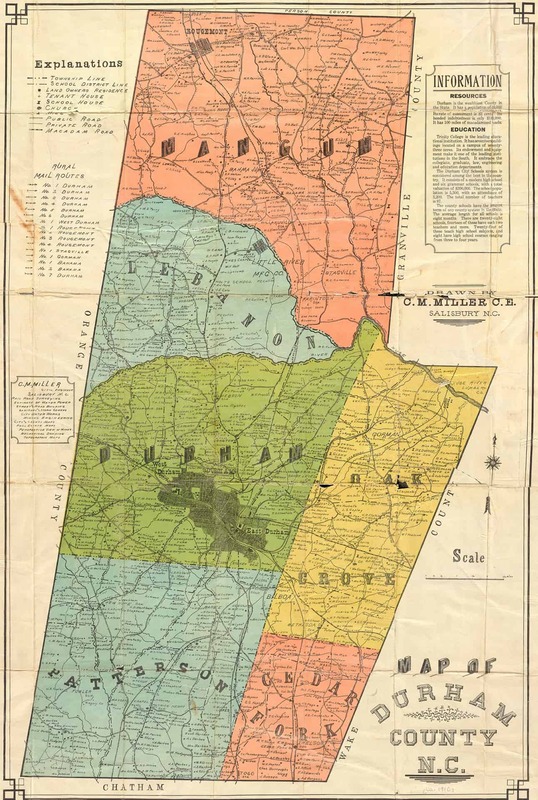 This map of Durham County, circa 1910, shows where landowners and tenants lived. Can you find the tenant farmer houses? They are indicated by + signs. Durham County was still largely farmland well into the 1900s. According to the 1875 tax rolls, the majority of people in the county did not own land.